J4R (Journal For Research) is an Open Access peer reviewed International Journal. Exhaustive list of executive board members who were invited from all the Colleges, Universities and research organization. Research scholar can download any article from the website for free of cost. To develop the highest quality knowledge-based products and services for the academic, scientific, professional, research and student communities worldwide. The objective of J4R (Journal For Research) is to give greater visibility to the participating journals, and to the research they convey. The main aim of peer review process is maintain the quality of published article under J4R (Journal For Research) Journals. Process strength in Journal Production and Distribution. Our authors receive an all round publishing service of the highest quality. Broad visibility through Promotion and Distribution. 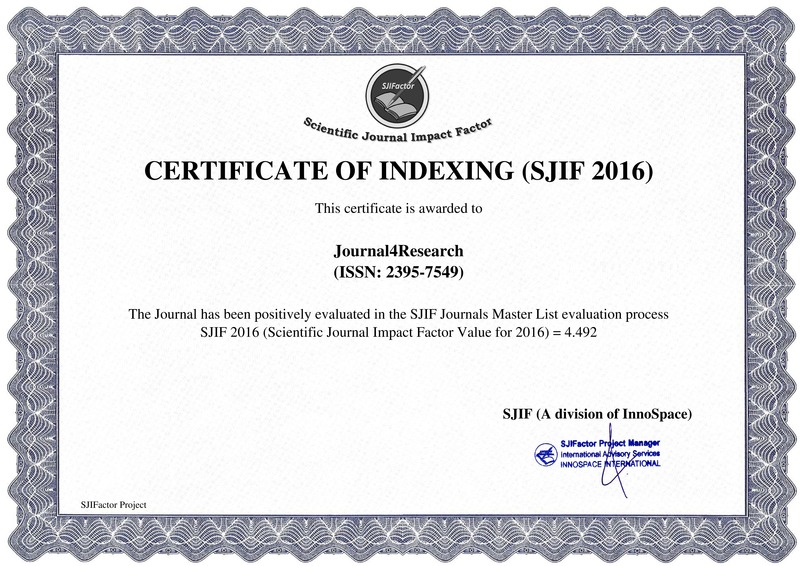 Papers abstract / indexed by all the major scientific indexing services.